Amazon is a big player in smart home. It sells a lot of smart home devices online and owns one of the largest product makers in Ring which the company acquired for $1 billion in 2018. Ring’s security Alarm Base Station supports Zigbee along with Z-Wave protocols. Amazon Echo Plus includes a built-in Zigbee hub. Given these facts, it is more surprising that Amazon was not already active in the Zigbee Alliance than the news this week that it had joined the board. Zigbee Alliance is supported by several other big names in consumer electronics and smart voice assistants including SmartThings (Samsung), Huawei, LG, and NXP among others. The move by Amazon is also a vote of confidence in Zigbee’s continuation in face of competition from competing standards such as Z-Wave and BLE (Bluetooth Low Energy). Amazon introduced both the Amazon Echo Plus and Smart Plug to make smart home setup easier for consumers. Third party product makers already supported Alexa integration for both product lines–a smart home hub and smart outlet. However, Amazon believed it could make the connectivity even easier and more reliable than relying solely on these third-party connections. Amazon recently had its own connectivity issues with the Bluetooth-enabled Echo Wall Clock. 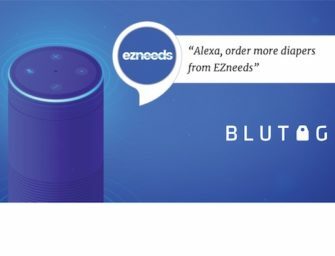 That product was recently pulled from Amazon’s online store due to customer complaints about the reliability of Bluetooth connections with Amazon Echo smart speakers. It will be interesting to see if a future generation of Echo Wall Clock is Zigbee as well as Bluetooth compatible. Will Zigbee Alliance Also Snare Google? Regardless, Amazon’s interest in shaping the future of the Zigbee standard is rooted in its current product portfolio, interest in the health of the protocol’s ecosystem, and a desire to make smart home set-up as easy and reliable as possible for consumers. Notably, Zigbee and Z-Wave are both absent from Google Home Hub which in many ways is positioned as a rival to Echo Plus that also has a screen. Maybe we will see Google following Amazon into the Zigbee Alliance before long.